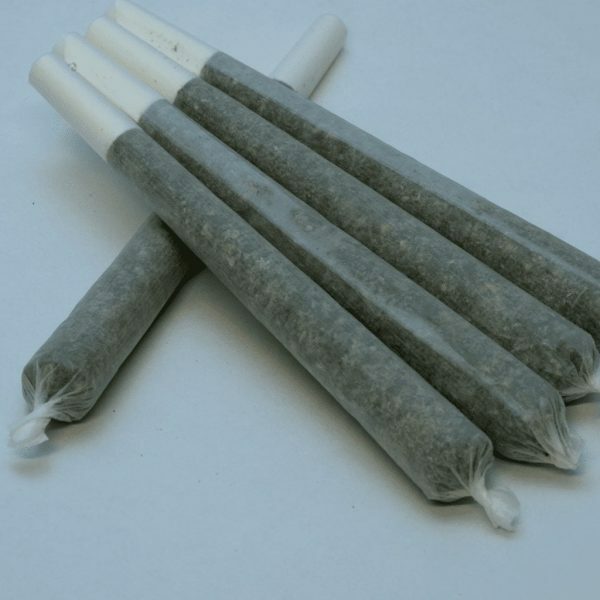 1 x 1 Gram Sativa Pre Rolled Cone. perfect party/group doobs. it’s a 5$ gram in a big paper pre rolled. perfect for on the go moments with friends. Awesome price, especially when there’s a sale! for the price these are just fine. These cannons were a big hit at my buddies birthday bash. Loved these, great price and convenient. They were a little squished during shipping which loosened the roll slightly, nothing a little love couldn’t fix. these monsters are made for great group sessions with an Excellent party buzz, but can easily be chipped and saved if smoking solo. Great product and price. Great job Greenz!! These are great. They nip out really well if you want to control your intake, the smell is pretty potent but I love dank weed. Will definitely order again! I was quite skeptical when ordering these, fearing the unknown and assuming they would be dry. But I absolutely loved these. Being super sensitive to harshness, they were so smooth I could smoke with no discomfort. They are mild but the ability to smoke much more balanced that out. Will definitely buy again. I only take away one star because they are unknown strains and out of my 5 joints, one hit me heavy with sleepiness. Great for the price & convenience. Will definitely grab these again. Was iffy at first when ordered was really impressed with the feeling afterwards a little harshness to it but overall was really worth the price!